PowerCLI 5.8 R1 was recently released and of the great new features included was the ability to now set the OVF/OVA properties of a VM or vAPP stored in an Open Virtualization format. 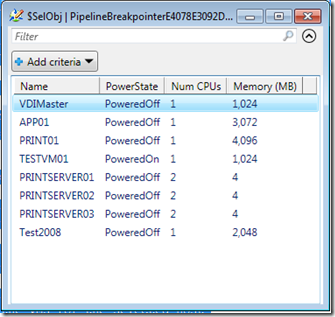 The new cmdlet allows us to query the file for the properties and interactively find out which entries we need to fill out, we can then fill these entries out and send them as part of the deployment of the VM when using the Import-vApp cmdlet which has been a part of PowerCLI for a while now. 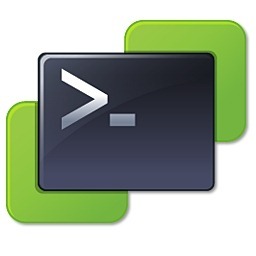 For more information on how we do this check out the recent post on the PowerCLI blog here. I want to automate the entire build out of my virtual infrastructure like this, I hear you say…. well why not help out, get involved, I started a new Github project where we can all contribute to make sure we are not reinventing the wheel, why not check out the github project here and add your own deployment scripts, so far there are scripts to deploy both Log Insight 2.0 (the one shown in the video) and also vShield Manager 5.5.x. 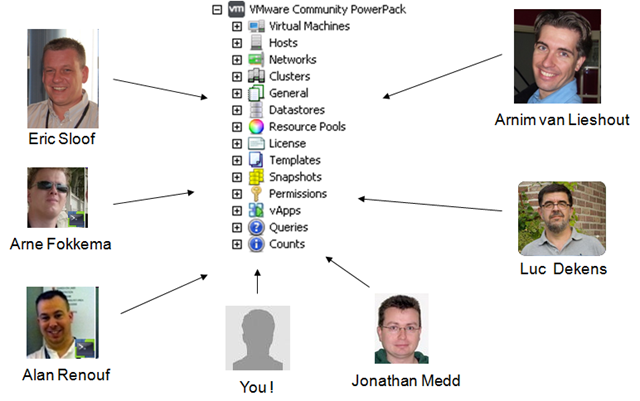 Remember the VMware Community PowerPack for PowerGUI? With it we were able to manage our VMware environment through a MMC style GUI placed on top of PowerCLI Scripts, this gave us the benefit of custom task based actions with a nice and easy to use interface. 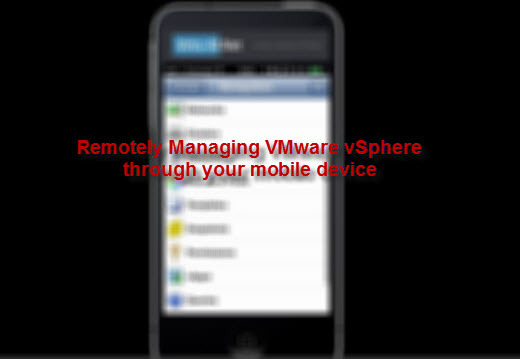 Now Imagine if you could have the same great customized management options for your vSphere environment on a mobile device or tablet device. Imagine no longer! Mobile IT is a new application which is available on a number of different mobile devices and tablets that allows us to import Mobile Packs which are custom written packs that work with your applications and also Power Packs which were previously written for PowerGUI. The first thing you will need to do is setup the server which is going to run Mobile IT, this is where we have two options. In a corporate environment you will probably want all connections to go straight to your systems and you will want to manage the traffic and every aspect of the environment, in this case you would have the Mobile IT Server in your DMZ and the Mobile IT Agent on your network as per the image below taken from the Mobile IT documentation. The second option (which was perfect for my home lab) is where Dell hosts the gateway server for you, you can then install the Mobile IT Server and Agent on your network (I had them both on the same server) as per the below diagram taken from the Mobile IT documentation. The Install was very easy and I had the system up and running in around 20 minutes, once setup it was easy to import the VMware Community Power Pack and add the same machine as a new instance in the web admin interface. I also installed PowerCLI on this server which is needed by the Community PowerPack. Now all you need to do is install the app on your phone or tablet, a client is available in the app store of each of the following devices and is currently free. Once downloaded and you have entered your company name and credentials it will communicate with your Mobile IT server where you can authorize the device for use on your network. Check out the Mobile IT Site here for downloads and documentation. See it in action with the VMware Power Pack below and remember, this is all based on PowerCLI so you can customize the scripts and allow access to your tasks from any mobile device. Following Part 1 of these posts where we discussed getting started in PowerCLI I now give you Part 2 of the note taking by Nigel Boulton at VMworld in the PowerCLI Group Discussion. In this part of the session we discussed what resources were available to people using PowerCLI. As with the previous post I will expand on the notes taken and give you the complete list below. If you have more resources make sure you add a comment and share them with others. 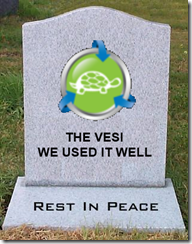 One of the most frequent questions I get asked at user groups or by people who know I am responsible for the community PowerPack is which product should they use, normally the question is PowerGUI or VESI ? My standard answer was to always ask them if they preferred trains or turtles but the answer is very easy now. From now this product is no more, you can still download it at the moment but no further development time will be spent by Vizioncore or Quest on this product, but wait, do not despair, there is good news. A few times in PowerGUI or generally I have needed the user to select a single entity so that I can use this entity further in the code to narrow down the output, with this in mind i created a quick PrimalForms form which can be used as a function and a single object selected, the below code can be used within GUI apps like PowerGUI or vEcoShell or just from the powershell prompt. 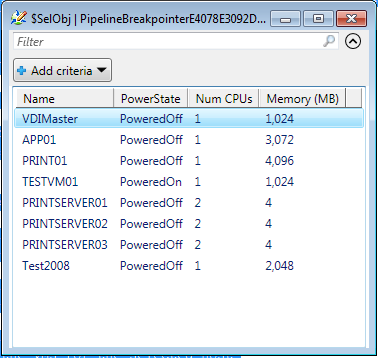 Other examples of this function can be used with Get-VM or Get-Datastore or whatever you like, this is one of the areas I have spoken to the people at Quest and I believe they may be making some improvements to PowerGUI & vEcoShell to make input easier. London VMUG – Thu 15 July – Lets get interactive ! I have been given my normal resident slot at the London VMUG this Thursday, 15th July. 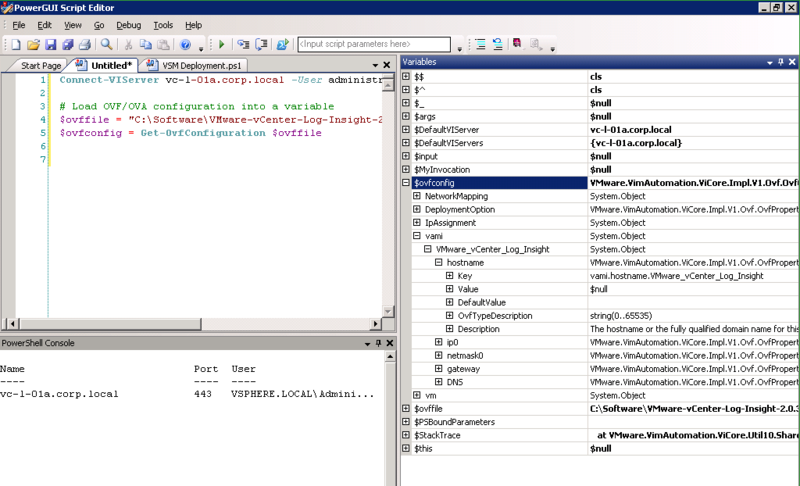 At the last VMUG I showed how vEcoShell could be used to add the graphical interface back onto our PowerCLI scripts and also gave an overview of the “VMware Community PowerPack”, when performing the demo I showed how easy it was to drill down into an object using the debugger in the script editor. Someone asked me if next time I would give more tips and tricks like this, the kind of tips you pick up without realising it and are really helpful to people starting to learn PowerCLI. So this time there will be a change in the way my session is presented…. We are going to get interactive ! Laptop, Windows is preferable but if you have to use one of them Mac things please make sure you have a Windows VM. Pre-Install vEcoShell and vEcoShell Script editor. I will bring these on a USB stick also but it will help if you are already setup and raring to go ! My plan is to host a ESX host and a vCenter VM and a few other VMs which we can all hook into and mess with, we can all do the same things and learn at the same time, I will have some mini instructions to follow which will help you along the path – think of this as a free PowerCLI course ! We will start off slow and then I will ask you to do a few things on your own, just to keep you awake. Hopefully it will go down without a hitch, if you are unable to bring your laptop don’t worry I will try and put you in a group with other people so we can all observe and work together. See you on Thursday and please remember your laptop ! However, the “VMware Community PowerPack” has arrived ! Yes it is a rename but also there is new content and a whole lot more to come, to give this the justice it needs I have created a landing page for the PowerPack at the top of my site under featured scripts or click here. On the landing page you can see how to download it, a video showing how to install it and also how you can get involved in making it even more useful – Come on people we are all managing the same VMware software here ! Don’t worry if you don’t have scripting skills, you can still get involved ! And with great people like the below already adding content it is destine for great things ! Head over to the landing page http://www.virtu-al.net/featured-scripts/vmware-powerpack/ and check out the “VMware Community PowerPack” now ! 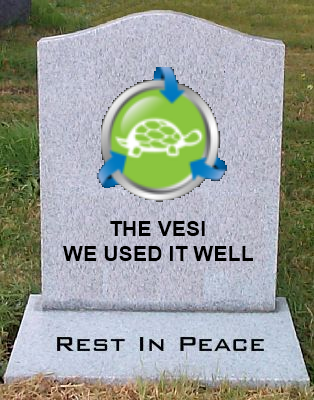 A little while back I started a PowerPack which could be used in either PowerGUI or vEcoShell – the application formerly known as “The Virtualisation EcoShell or VESI, my PowerPack was a collection of the most used scripts from my site all laid out in a nice GUI format. 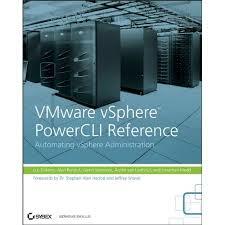 Some of you might be interested to know, Alan and Luc are writing a PowerCLI book. We don’t have many more details at the moment but wanted to let you know, as we are both very excited (and nervous by the amount of work) about this project. As you know we both live and breathe PowerCLI. And we want to share our knowledge to help others achieve the level of PowerCLI automation we both know is possible. One thing you can expect from this book is a practical approach with examples galore, we aim to cover most of the common configuration/troubleshooting and reporting areas with easy to understand examples and explanations. Q: What’s the title ? A: We’re both crazy enough to think we can do this. A: Expect a practical, down-to-earth approach. 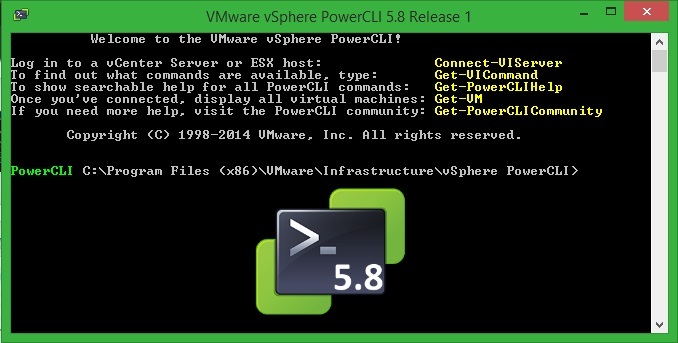 We’re going to show you how you can manage all aspects of your vSphere environment with PowerCLI. Q: Who are these guys ? A: Alan, who recently joined EMC’s vSpecialist army, is well-known from his Virtu-Al blog, his UK VMUG appearances, as a co-host of the Get-Scripting podcasts and as the winner of the recent Script-O-Mania contest. Luc, aka LucD, is known from the PowerCLI Community, his LucD notes blog, his Dutch VMUG and VMworld appearances and as the winner of the first PowerCLI Scripting contest. Q: Where do these guys live ? A: Alan, contrary to some rumours, is an English guy and lives in Wiltshire, UK. You may have noticed a distinct lack of posts from me recently, I have been on holiday, I had a great time staying in Belgium and The Netherlands, a fantastic country which I would recommend to anyone thinking about travelling in northern Europe, not just for the red lights or “space cakes” either ! Whilst preparing for my trip I heard that the famous “Dutch VMUG” was having a PowerCLI / VESI event, now I know I was on holiday but it would have been rude to pass within an hour of the area and not attend 😉 and I was glad I did. Having presented at a few VMUGS now I was very impressed at how organised the Dutch VMUG members really are, the presentations were submitted before hand and everything was set for the date well in advance, there were some real superstars presenting too, Armin van Lieshout, Arne Fokkema and Viktor van den Berg.